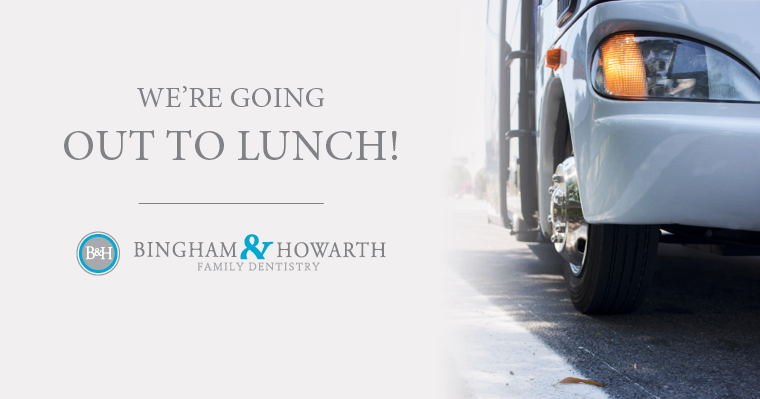 This past Wednesday, Dr. Bingham and Dr. Howarth surprised their staff for a lunch outing. During morning huddle it was announced that lunch and transportation would be provided. All they asked of their staff was to be ready by noon with an appetite!! With thirteen girls, you can imagine the excitement and curiosity. 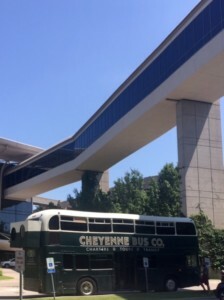 At noon, the whole team left the eleventh floor of the Kelly Building and found a great surprise waiting, their transportation was a double decker bus from The Cheyenne Bus Co.!! Our double-decker bus, ready for an adventure! 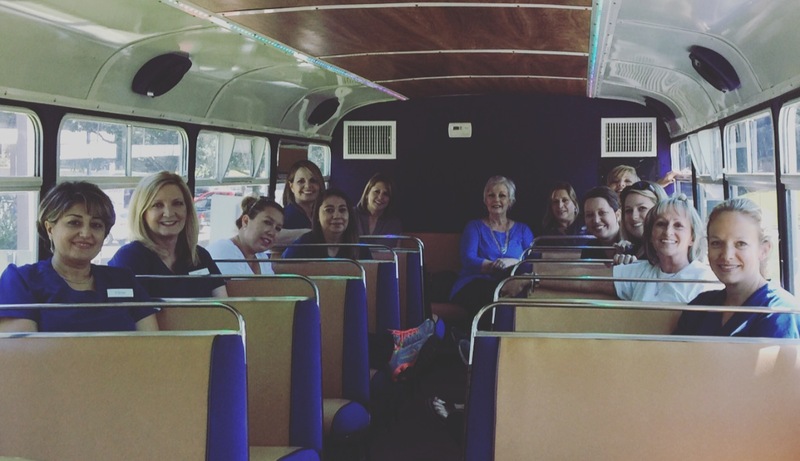 This double-decker bus was a first for all the staff and everyone had the same thought as they raced to the second level of the bus in excitement! The music started to play, selfies were taken and laughter was starting as the bus pulled away. Instantly, the mid-week work stresses that naturally occur disappeared. 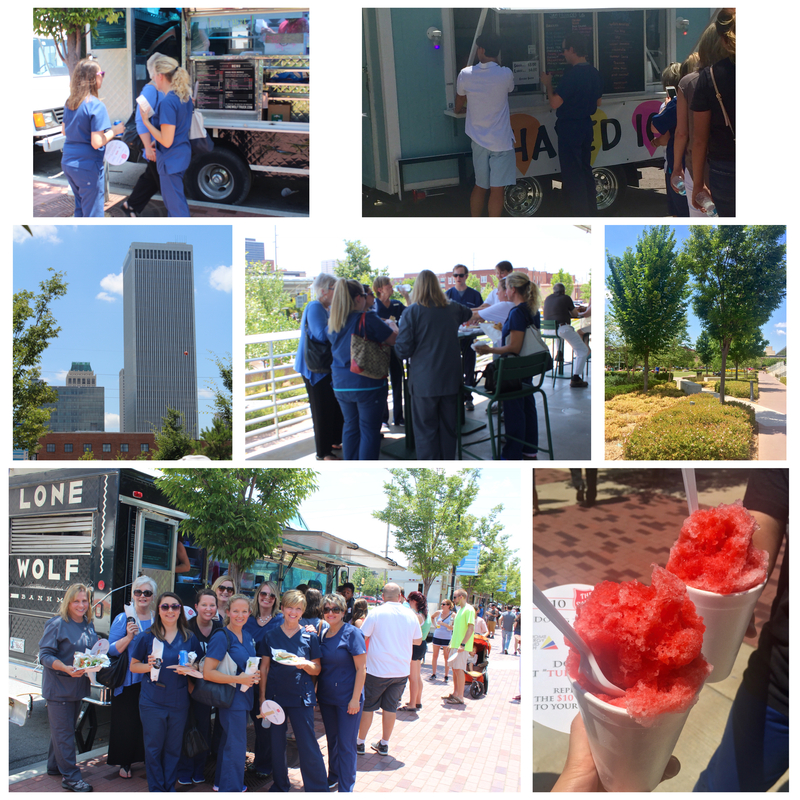 The doctors announced we were headed to Guthrie Green Food Truck Wednesday!! 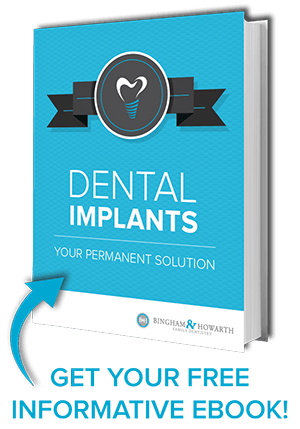 The Bingham & Howarth dental team enjoying their day out! Dr. Bingham, Dr. Howarth and staff all stood together and ate lunch outside while listening to music. Even in the Oklahoma July heat everyone was happy to be away from the office and experiencing something new! Creating a family environment is important to our doctors along with enjoying what Tulsa has to offer! It was a great Wednesday! Leave us a comment below and tell us about your best experiences at Guthrie Green Food Truck Wednesday. Our adventure to Guthrie Green.